How can I get the Volume Profile Pack? Can I get a FREE trial before I buy? Yes, there is a free 5-day trial. Simply install the Volume Profile Pack and it will work for free for 5 days (with all functions available). In the volume and license profile guide, you mention that you require the Machine ID. Does that mean it would only work on that machine? Yes, each machine ID is unique, and the profile only works on the computer (s) that I authorize. If you have more than one computer, I can also authorize them (for free). What do I do if I want to operate using more than one machine? Send me the machine ID of the other computer that you want to authorize and I also authorize it (for free). What happens if I change my computer? When you change your computer or update it, you have to send me the new machine ID so that I can authorize your computer again (free of charge). I bought the volume profile package, what do I do next? Then I will authorize your computer to use the TD volume profile pack. This will take a few minutes or a few hours, but typically no more than one business day. I will let you know by email when your computer is ready to use the TD Volume Profile Pack. Do I need CME futures data for NinjaTrader to accurately pick my levels? My concern here is what additional costs will I need to consider? You don’t need futures data! Even though forex is not a centralized exchange, forex data from a big broker (for example FXCM) is surprisingly accurate, and you can rely on them in your analysis. This is why there is no additional cost. You can get FXCM free data feed here: FXCM free data feed. You can also try futures data and compare. There is a free demo (email bound, time-limited) here: CQG futures – free demo. How can you rely on FX volume seeing there is no central exchange. Won’t different brokers show different volumes? You are right; different forex brokers show different volumes because the forex market isn’t centralized. Best thing to do is to use big forex broker (for example FXCM). Big brokers usually have quite reliable and accurate volume data. I use FXCM forex data, and I must say that when I compare this data to futures data (CME), it is very close. I noticed that the FXCM data is a trial limited to 30 days so I am not sure what happens after this period. You can get an unlimited demo here: (demo) of data without FXCM limitations . 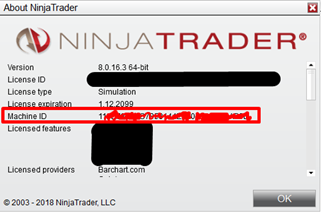 I downloaded the NinjaTrader8 platform and it opened without my entering the username and password. I clicked on File and then on Connect, but it did not show FXCM as one of the options. So how do I connect with the FXCM data source? Go to this page: (demo) without limitations of FXCM data and register there to obtain the data (free and without time limitations). After that you will receive your credentials. Then go to the platform of NinjaTrader 8 and click on Connections-configure and there you can add FXCM data and complete the username and password included in the email you received. After that you will be able to connect with the data. My FXCM data expired after the 30-day trial period. What I can do? 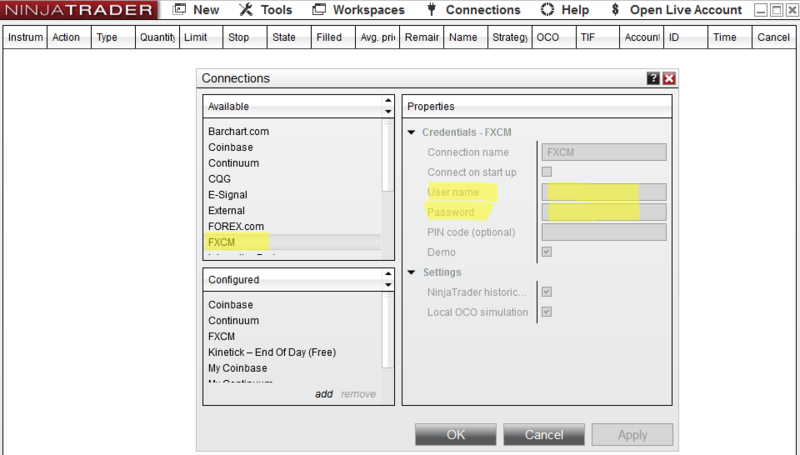 After you have received your new username and password, go to your NinjaTrader 8 platform and click on: Connections – configure and there you can change your FXCM data configuration. Complete the username + password included in the email you received. After that you will be able to connect to the data again. Does this indicator work on a standard MT4 platform? 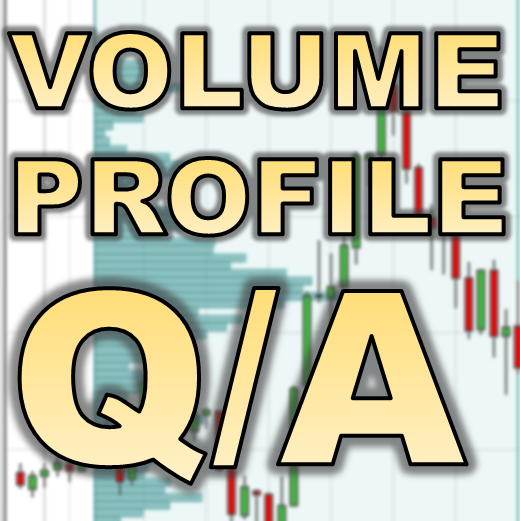 The Volume Profile Pack works only with NinjaTrader 8. The standard MT4 platform does not have tick volume data (which are the most accurate). Can I still use my broker and my MT4 platform? Yes you can! You only have to do your analysis in NinjaTrader 8. Then you can execute your trades on your MT4 platform or with any other broker or trading platform that you like. Do I need to use an additional broker that NinjaTrader recognizes to be able to continue? You do not need an additional broker. Just do your analysis with NinjaTrader 8 (free), and then execute your trades with your current broker, as you usually do. If you have any questions, please send an email to contact@trader-dale.com and I’ll be happy to help. I will also answer the new questions we receive in this Q/A section. All the best in your trading!